Thanks to Sara from yummyfordummy for extending the invitation from Krispy Kreme Indonesia to the Foodie Blogger gathering, it was an honour to me! 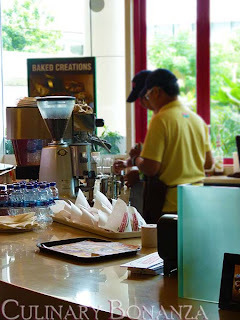 Admittedly, it was my first time to visit the recently-opened Krispy Kreme Doughnut Cafe at Central Park Mall, so I was really excited. 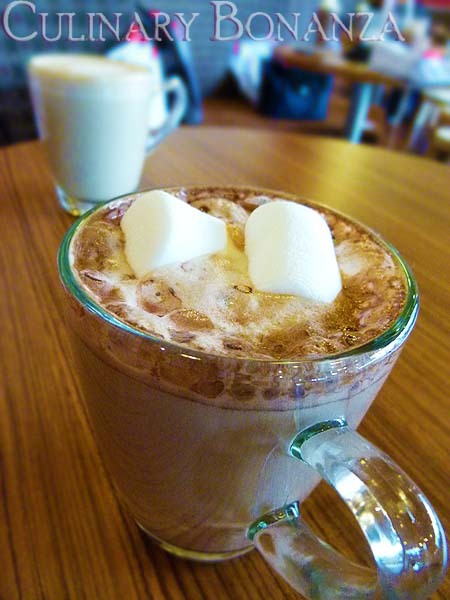 Upon arrival, we were privileged to order any drinks off the menu, I was told that the Mocha Marshmallow is KK's specialty, so I ordered this. Turns out this beverage was a treat to my sweet tooth! I love how the chewy marshmallow added some twist to the yummy Mocha. *Slurp! 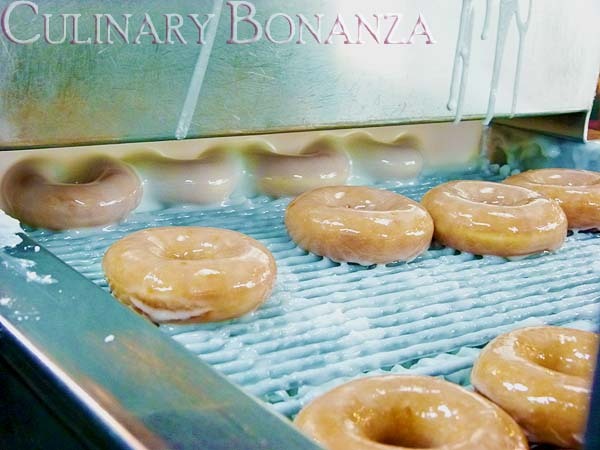 Next, we were ushered into the "Doughnut Theater" where we witnessed the doughnuts being processed from flour dough at one end to become the Original Glazed doughnuts at the other end. 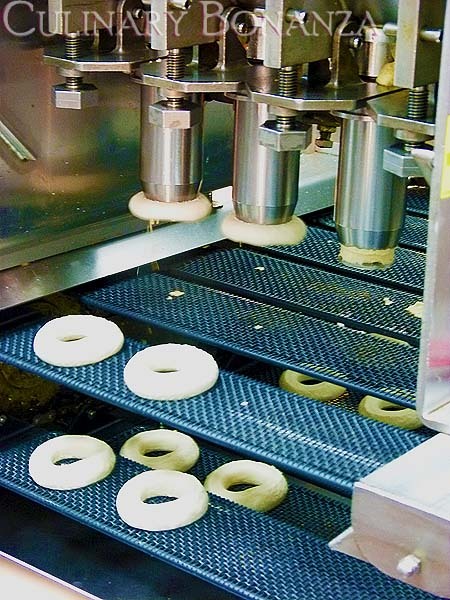 The machine processing ensures that the doughnuts are hygienic and perfect. 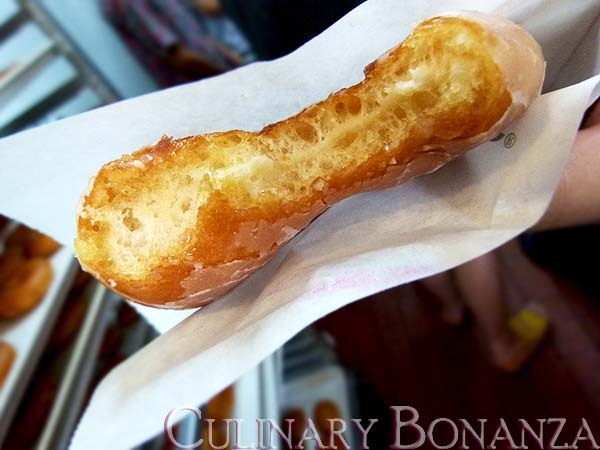 When I took a bite off the fresh-from-the-fryer Original Glazed doughnut, I swear it was as if the dough melted in my mouth! Nyum nyum! Imagine this melting in your mouth! 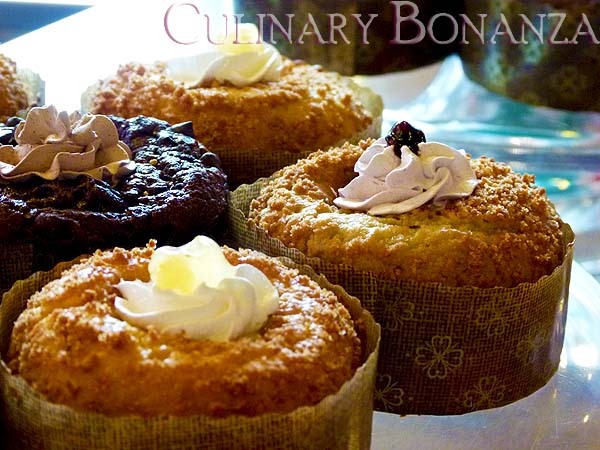 Following that, we were introduced to KK's Baked Creations, which came in 2 variants: Kruffins (for sweet ones) and Pull-Aparts (for savoury ones). What's unique about the Baked Creations, is that they have similar texture to doughnuts, but they are baked instead of fried (healthier choice, people? =D). 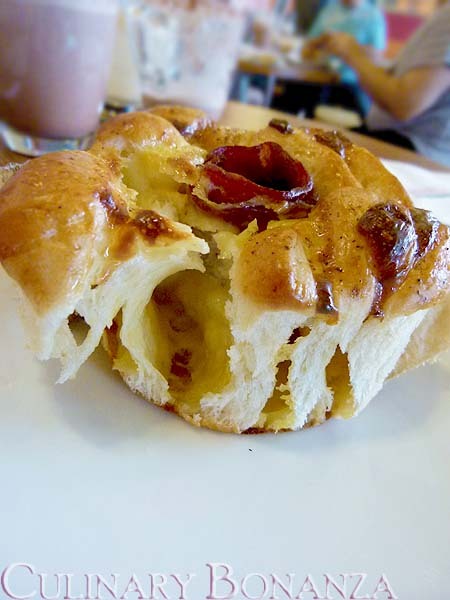 I was told that the popular flavours were Chocolate Banana for the Kruffin and Smoked Beef & Cheese for the Pull-Apart. So I literally pulled apart my choice of Baked Creation: the Smoked Beef & Cheese...tadah! Ahaha...it's tempting ey? 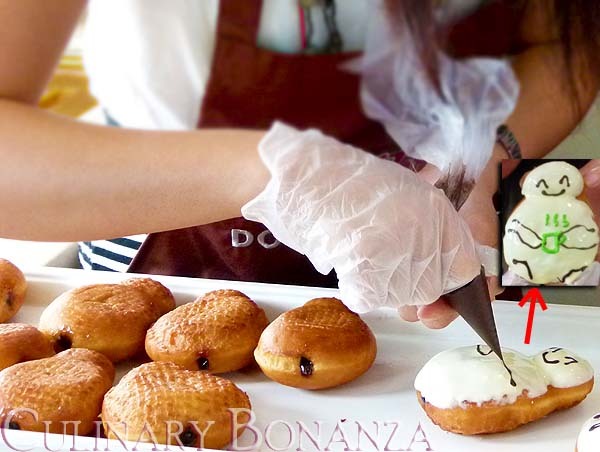 As I was writing it, I kept longing to have a bite of those warm tender doughnuts again! Pure Addiction! >,<"